A 48-year-old man was arrested Sunday night shortly after he allegedly attacked and robbed a person who was walking near Private Road in Riverside, Southampton Town Police said. Police were called to the area for reports of a disturbance when they found the victim, an area resident who said he was attacked by a man who kicked and punched him several times before taking his cell phone and cash. Garland Massenburg of Flanders was located and arrested a short time later, after he was positively identified by the victim, officials said. Mr. Massenburg was charged with third-degree robbery and was being held for a Monday morning arraignment in Southampton Town Justice Court. • A 19-year-old Flanders woman was arrested on marijuana and driving while ability impaired by drugs charges Saturday afternoon in Flanders, Southampton Town Police said. Ashley Reardon of Pleasure Drive was stopped by police about 5:45 p.m. on Pleasure Drive near Flanders Road for not wearing a seat belt and an investigation revealed she had more than two ounces of marijuana — and she admitted having smoked it prior to being pulled over, police said. She was arrested for fourth-degree criminal possession of marijuana, driving while ability impaired by drugs and ticketed for a seat belt violation, officials said. • Robert Beaver, 33, of Riverhead, was charged with driving while intoxicated early Sunday on County Road 104 in Flanders after a minor accident, according to police, who said there were no injuries as a result of the 2:15 a.m. crash. • Tommy Giffin, 30, of Randall Road in Ridge was charged with unlawful possession of marijuana on Lake Avenue in Northampton about 12:30 a.m. last Tuesday, police said. He was parked in his car at a town park and found to be in possession of marijuana, according to police. 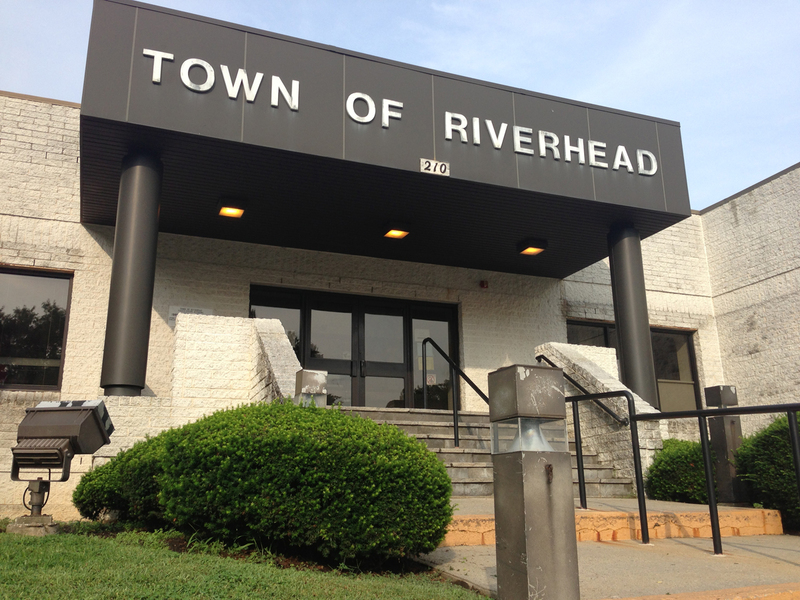 • Tasheria Kelly, 17, of Sigal Avenue in Riverhead was charged with second-degree harassment last Monday on Pebble Way in Riverside, police said. She was involved in a dispute with another girl who allegedly shoved her in front of an officer, than resisted when the officer tried to arrest her, according to police. She was additional charged with resisting arrest and second-degree obstructing government administration. • Osmarlin Contreras, 34, of Reeves Bay Trail in Flanders was charged with third-degree criminal mischief, second-degree reckless endangerment and second-degree harassment last Wednesday morning on Reeves Bay Trail. Mr. Contreras was involved in a dispute with a neighbor in which he threw bricks at the neighbor’s car while the neighbor was driving it, according to police. The car sustained damage on the driver’s side but the driver was not injured, police said. • A Flanders woman reported seeing someone trying to set a car on fire on Priscilla Avenue in Flanders last Monday. Police said the an officer arrived to find the ground and the undercarriage of the car on fire and extinguished the fire, according to police. The case is being investigated by the detective division and the fire marshal, according to police. • A 30-year-old Riverhead man reported being sideswiped by a green Ford Explorer last Tuesday on Flanders Road in Flanders, police said. The collision caused the man’s car to veer off the road and strike a tree, according to police. The driver of the Explorer left the scene and the victim was transported to Peconic Bay Medical Center for treatment of neck pain, according to police. He told police the driver of the other appeared to intentionally collide with him during a road rage incident. • A Riverside man reported to police that his dog was stolen as he was walking it last Monday in Riverside. The man was walking the dog when he accidentally dropped the collar and it ran across Flanders Road in Riverside. The dog’s owner followed the dog, but then saw a 40-year-old white male with a goatee and wearing a Hawaiian shirt and tan shorts, pick up his dog and put it in his car, a black Kia SUV, according to police. The man told the dog’s owner it would in the animal shelter and drove off, police said. The owner of the dog said he checked all the animal shelters in the area, but to no avail. The dog is described as male white “bichapoo” named Fluffy, and is valued at $427.95, according to police. • Someone stole more than $3,000 worth of copper from the Pelican Grill property on Flanders Road in Riverside June 21, it was reported to police. About $1,500 worth of damage also was reported to have been done inside the building. The damage included destroyed sinks, toilets, walls, ceilings and an air conditioner, police said. The restaurant has been closed for several years. • A cell phone and compact discs valued at a total $105 were reported stolen from a car parked on Glen Avenue in Flanders last Sunday, police said. • A purse containing a cell phone and several credit cards were reported stolen from the parking lot of the Friendship Baptist Church on Anchor Street in Flanders last Monday, police said.